Why is sales coaching such a misunderstood development tool? More than ever, sales teams are struggling with unqualified leads, missed sales goals, and lost opportunities. Increasingly, company and sales leaders are turning to coaching as a solution. And, why not? Executive and personal-effectiveness coaching have historically yielded great results. 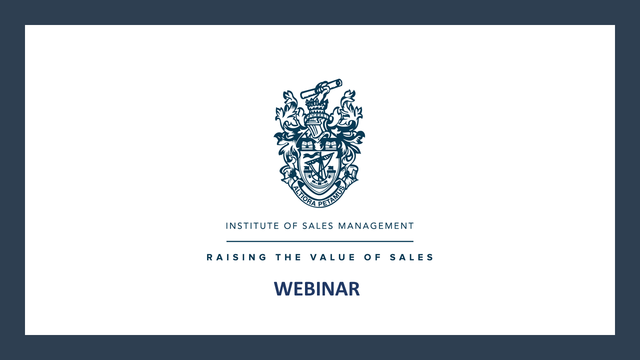 This webinar explores the clear link and transferable skills from selling to coaching. We will bust some of the myths about coaching and show how you can turn on your coachees (the person you are coaching) internal voice. We will share with you our experience of supporting new directors, managers, and supervisors taking a coaching approach by learning to ask not tell. Title: Why is sales coaching such a misunderstood development tool?